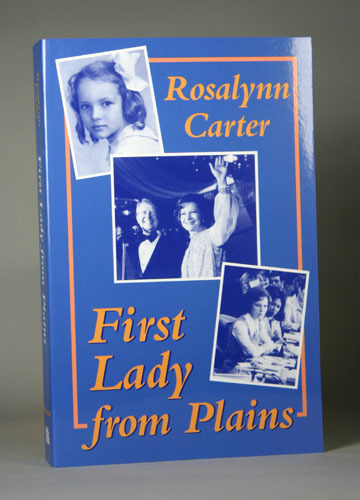 In this warm and inspiring autobiography, Rosalynn Carter describes her life, from growing up in Plains, Georgia, to becoming First Lady and later returning to Plains. Mrs. Carter writes of her childhood saying, "When Daddy came home from work, he always rushed into the kitchen, picked up my mother, whirled her around the room and gave her a kiss. My friends' parents didn't act this way in front of their children, so I thought my house was very special." She tells about her first date with Jimmy Carter, the brother of her best friend. "After dreaming of him for so long, I was actually with him and it couldn't have been more wonderful." There are the highs and lows of life in politics with her husband; her perspective on being in the public eye, and what it was like to return to Plains after leaving the White House. When Jimmy lost the election in 1980, there was no question about where we would go," Mrs. Carter writes. "we would go home to Plains."